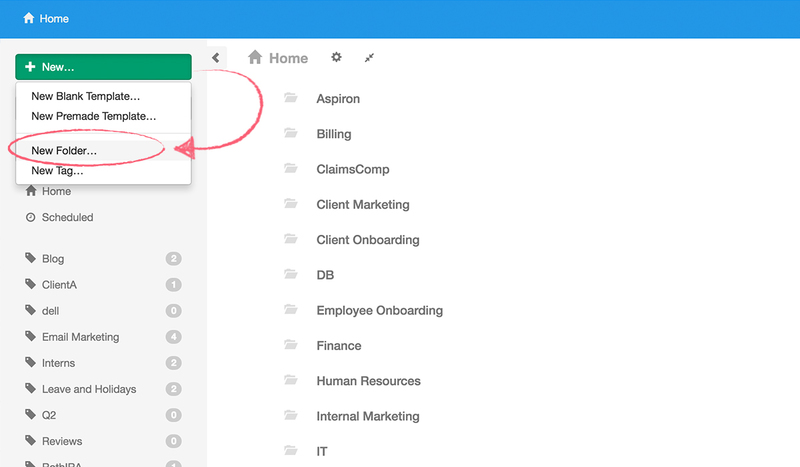 Folders are used to manage templates, checklists, and permissions for different sections of users. 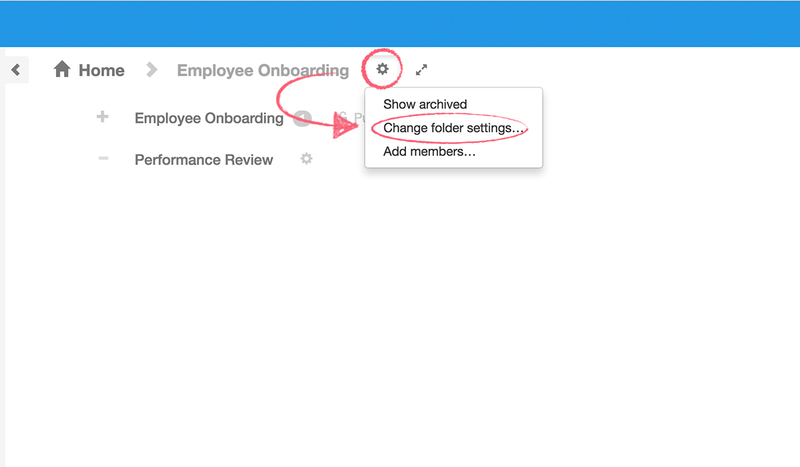 For example, each team in your organization (eg, HR, sales, finance, etc) can have their templates in a separate folder, giving them access to only the processes which they need to see. This increases productivity and security, as no-one has access to templates and checklists which they do not need to see. To create a new folder, go to your dashboard view, click “New” on the left-hand side of your screen, then click “New Folder”. After that, type in the name of your new folder and click “OK”. 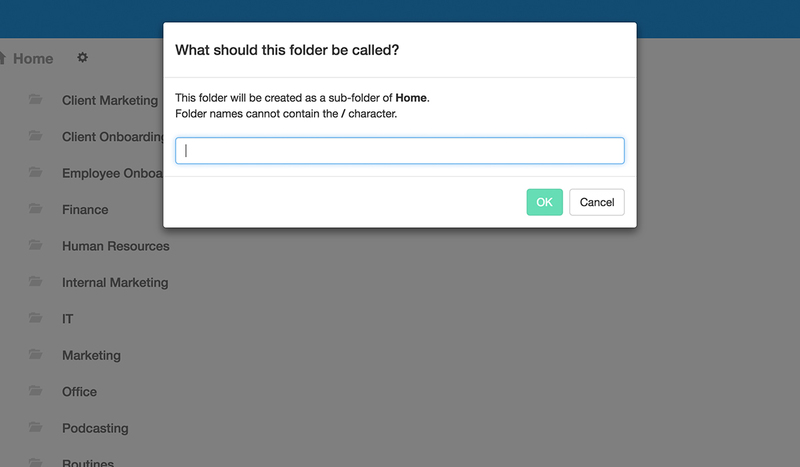 Note that only admins will be able to create a new folder and that it will be created in the location you’re viewing. 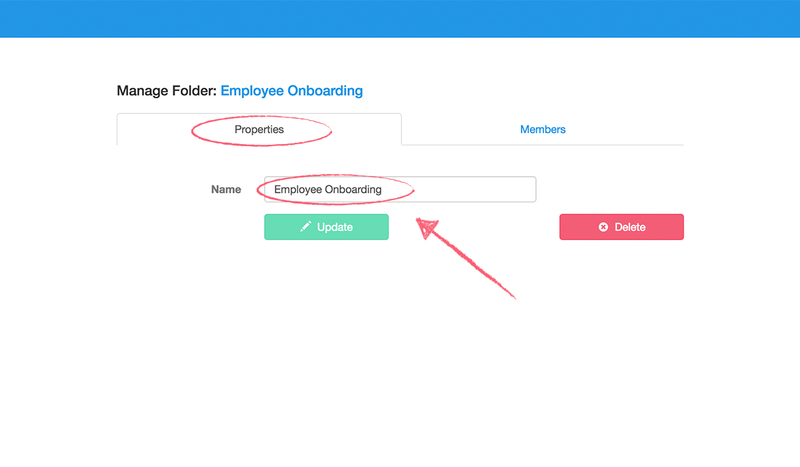 This means that if you are viewing the home screen a basic folder will be created. If you’re inside an existing folder, a sub-folder will be made instead. Subfolders are created in exactly the same way as folders, except you need to be indside the folder you want to create a subfolder in. For example, if you went into your “Marketing” folder, clicked “New”, and then on “New folder”, you’ll create a subfolder inside “Marketing”. To access a folder’s settings, click the folder to enter it, and then click the cog next to its name at the top of your view. Select “Change folder settings” from the dropdown menu. To rename a folder, go into the “Properties” tab, type in the new name, then hit “Update”. You can also delete the folder from this tab by clicking “Delete”. Note that you can only delete empty folders. 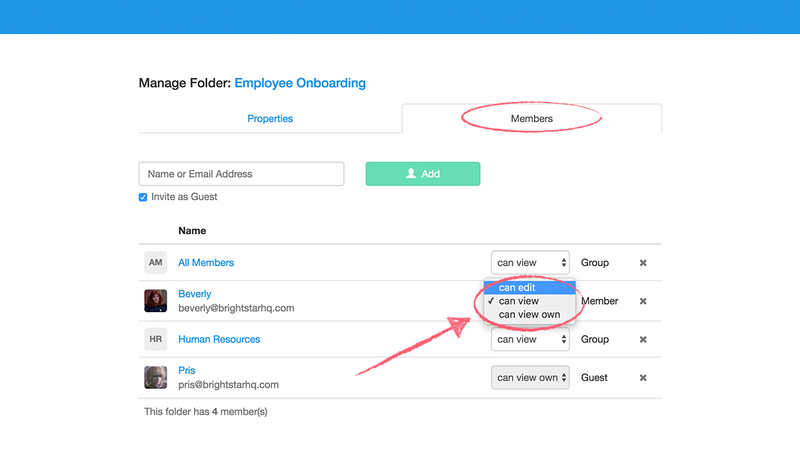 To manage the users assigned to a folder, go into the “Members” tab. Here you can invite a new user by typing their name or email address, alter the permissions of an existing user, or remove them from the folder entirely by clicking the “X” to the right of their details.